The TCU School of Music offers a world-class education from a faculty that includes nationally and internationally recognized musicians in violin, viola, cello, bass, harp and guitar. The curriculum includes studio instruction, orchestral performance, chamber music study, instrumental pedagogy and several areas of special interest. In addition, the School of Music offers the Artist Diploma program for exceptional string performers who seek a conservatory approach rather than the traditional course of study leading to an academic degree with a performance major. It’s available to both pre-baccalaureate and post-baccalaureate students. There are many performance opportunities at TCU. You will participate in solo recitals, concerts by the TCU Symphony, chamber music ensemble concerts, New Music Ensemble recitals, Collegium ensemble performances, opera productions and many others. 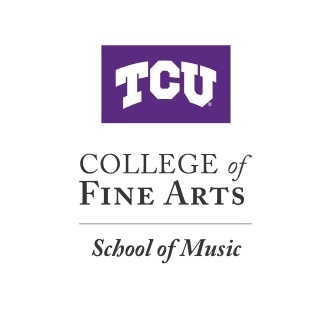 TCU offers several important string-related festivals and workshops: Chamber Music Roundup festival and Intensive String Quartet Workshop for advanced students, CelloFest, BassFest, Harp Workshop and TCU Summer String Workshop. All of these programs offer students chances to work and perform with best professional musicians in the world. Many career options are available upon graduation, in the United States or globally. You’ll find TCU School of Music alumni in Dallas-Fort Worth area’s orchestras, teaching positions, leading community outreach programs like the B Sharp Foundation in Fort Worth, and establishing their own music businesses and conservatories. You can also find TCU music alumni across the United States and other countries having solo careers, leading sections of professional orchestras, touring with chamber music groups, or teaching.